Upon arrival at the Chennai Airport our representative will welcome you and assist you by road to Mahabalipuram (65 km, 1 ½ hr drive); on arrival check-in into hotel . The rest of the day is at your disposal to enjoy at leisure. Overnight at the hotel. 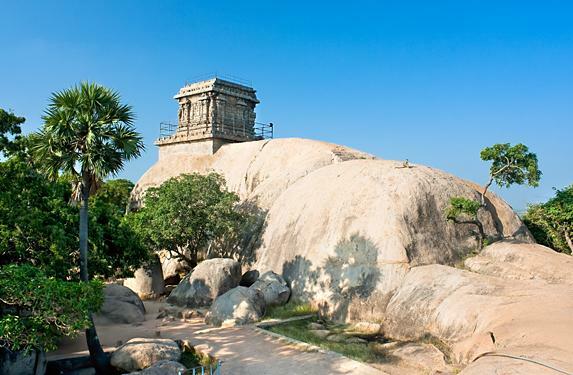 Following an early morning breakfast embark on an exciting sightseeing tour of Mahabalipuram. The town, famous for its stone carvings, is situated on the shore of Bay of Bengal, 58 km south of Chennai. Once a thriving port city under the Pallava Empire this UNESCO world heritage site has many rock-cut monuments dating from 7th – 9th century AD. Places of tourist interest include the Shore Temples, Arjuna’s Penance, Krishnamandapam, Mandapams, Rathas, Crocodile Farm, Covelong beach, and Thirukkazhukundram. Return for an overnight at the hotel. Depart for Pondicherry (115 km, 2 ½ hr drive) after the morning breakfast; on arrival check-in into hotel. Rest of the day is at your disposal to enjoy at leisure. Overnight at the hotel. After a refreshing breakfast proceed for a day-long sightseeing tour of Pondicherry. Pondicherry, known as ‘The French Riviera of the East’, was a French colony until it was integrated into India as a Union territory in 1954. The town still remarkably preserves its French heritage in its many colonial monuments, cuisines, language, customs and traditions. Places of tourist interest include the Sree Aurobindo Ashram, Auroville, The French Institute and the Raj Nivas. Return for an overnight at the hotel. After breakfast check-out from the hotel and drive to Tanjore (180 km, 3 ½ hr drive); on arrival check-in into hotel. Rest of the day is at your disposal to enjoy at leisure. Overnight at the hotel. Embark on a whole day sightseeing tour of Tanjore. Tanjore, was once the imperial capital of the Cholas, a dynasty that ruled over South India, parts of Sri Lanka, and the Maldives Islands for four centuries (900 – 1300 AD). These mighty emperors were great patrons of art, architecture, music and literature. During their reign countless magnificent temples were built all over the kingdom including many great ones in their capital city of Tanjore. The prime attraction of Tanjore is the imposing Brihadeeswara Temple built by king Rajaraja Chola in A.D 1010 – now a UNESCO World Heritage Site. Places of tourist interest include Sri Brahadeeswara Temple, Palace, Art Gallery, Saraswathy Mahal Library, Schwartz Church, Thirukandiyur, Thiruvalyaru, and Kumbakonam. Overnight stay at the hotel..
After breakfast check-out from the hotel and drive to Madurai (180 km, 3 ½ hr drive); on arrival check-in into hotel. Rest of the day is at your disposal to enjoy at leisure. Overnight at the hotel. Following a refreshing breakfast proceed for a local sightseeing tour of Madurai. 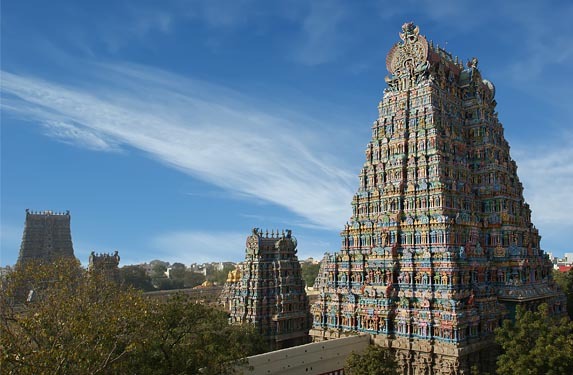 The temple town of Madurai, situated on the banks of river Vaigai, is one of the most ancient cities in India with a history dating back to the pre-Christian times. It was the imperial capital of the Pandyan Empire in the 14th Century AD. Madurai was the seat of Tamil learning and the last of the Tamil Sangams (Academies) was held here nearly 2000 years ago. Places of tourist interest include the imposing Meenakshi Temple, Thirumalai Nayakar Mahal, Gandhi Museum, Vaigai Dam, Thirupparankundrum, Athisayam Water Theme Park, Azhagar Koil and the Vandiyur Mariamman Teppakulam. Overnight at the hotel. Depart to Kodaikanal (125 km, 3 ½ hr drive) after a breakfast at the hotel; on arrival check-in into hotel. Rest of the day is at your disposal to enjoy at leisure. Overnight at the hotel. Following a filling breakfast you will be taken for an exciting sightseeing tour of Kodaikanal. Kodaikanal, at a distance of 120 km from Madurai, lies on the southern crust of the Palani Hills. 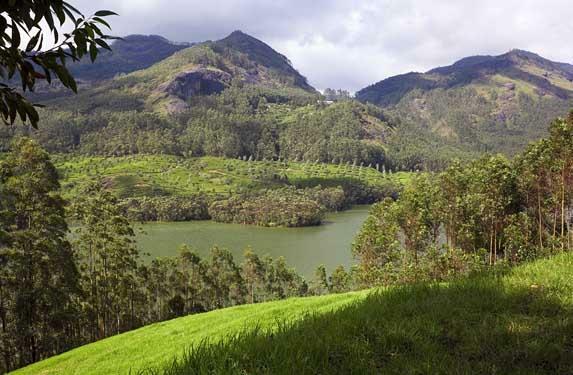 The town is centered-around the star shaped Kodai Lake covering an area of sixty acres. Kodaikanal has thickly wooded slopes, well laid out stroll paths through picturesque landscapes, gorgeous waterfalls and steep rocky drops. Places of tourist interest include the Lake, Solar Physical Observatory, Bryant Park, Coaker’s Walk, Kurunji Andavar Temple, Green Valley View, Pillar Rocks and Shembaganur Natural History Museum. Return for an overnight stay at the hotel. Depart for Ooty (275 km, 07 hr drive) after an early morning breakfast; on arrival check-in into hotel . Rest of the day is at your disposal to enjoy at leisure. Overnight at the hotel. After breakfast you will be taken on a sightseeing tour of Ooty. 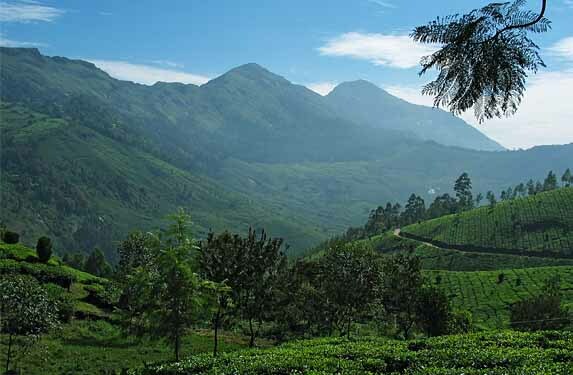 The beautiful hill station of Ooty is located on the Blue Mountains (Nilgiris) at an altitude of 2240 m above MSL. Ooty, known as the ‘Queen of Hill Stations’, was once a favorite summer retreat for the Govt. of Madras. The landscape here is dotted with vast expanses of tea gardens, dense forests, sprawling grasslands and lofty mountains. Places of tourist interest here include the Botanical Gardens, Centenary Rose Park, Rose Garden, Lake, Government Museum, Deer Park and Doddabetta. Return for an overnight stay at the hotel. Following an early morning breakfast check-out from the hotel and drive to Mysore (165 km, 4 ½ hr drive); on arrival check-in into hotel. Afternoon embark on an exciting sightseeing tour of Mysore. Mysore, a calm and serene city, lies at a distance of 139 km from Bangalore. The city was the imperial capital of the erstwhile Mysore kingdom ruled by the Wodeyar dynasty. Places of tourist interest include the Mysore Palace, Chamarajendra Art Gallery, Mysore Zoo Gardens, St. Philomena’s Church, Temples, Chamundi Hills, Brindavan Gardens and Bylakuppa. Overnight at the hotel. After breakfast check-out from the hotel and drive to Bangalore (150 km, 3 ½ hr drive); on arrival check-in into hotel. Afternoon you will be taken for a local sightseeing tour of Bangalore City. Bangalore, the capital of Karnataka, is known popularly as the city of Gardens. 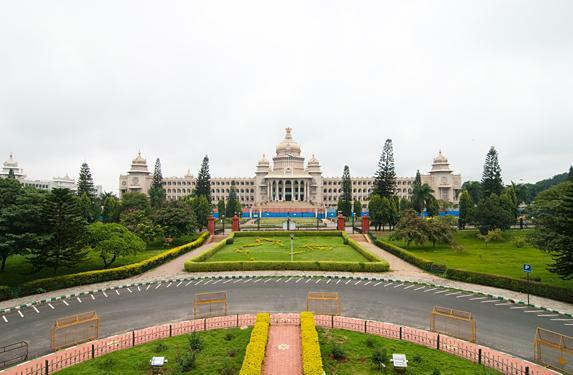 The city is today the Silicon Valley of India apart from being the principal administrative, commercial and industrial hub of Karnataka State. It lies at an altitude of 920 m above MSL. The present day Bangalore City was founded by Kempe Gowda, a chieftain under the Vijayanagara Empire, in 1537 A.D. With the support from king Achutaraya, he built a mud fort here and established petite towns inside the fort. Places of tourist interest here include the Lalbagh Gardens, Vidhana Soudha, Cubban Park and Museum, The Govt. Museum, Cariappa Memorial Park, Visvesvaraya Industrial & Technological Museum, Tippu’s Palace, The Fort, Bull Temple, Venkatappa Art Gallery. Return for an overnight at the hotel. After breakfast check-out from the hotel and drive to Bangalore Airport for your onward journey.